Would you like to receive more PROSPERITY in your life? Want to eliminate doubt and self-sabotage, so that you can express your FULL POTENTIAL? Would you like to have a life of more FULFILLMENT, FREEDOM, and FUN? If you answered YES to any of these questions, then you’re ready for PROSPERITY PLUS. How to harness the Laws of Prosperity to increase the flow of good in your life. The secret to unlocking the Law of Compensation. A proven method for dissolving any financial resistance you have so that you can attract higher levels of abundance and prosperity in your life. 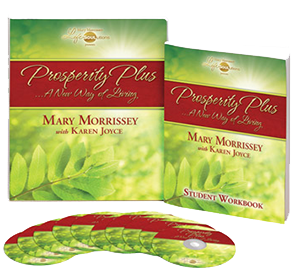 PROSPERITY PLUS is a 10 week class meeting on Wednesday evenings, March 12 – May 21st, from 6:30-8pm in the Hilton Garden Inn Boardroom. Tuition is $49. The class is facilitated by Laurie Minsal, Licensed Unity Teacher Candidate. Laurie will have a special table in the foyer to answer your questions and to take your registrations. You may also register by calling the church phone at 661-273-3341.